Here’s my July 2014 Birchbox! If you love getting to try new products out (especially cosmetic products) then I suggest jumping on the Birchbox bandwagon! I’ve been getting the boxes for a few years now ($10 a month) and have found a few products I really enjoy (and have become purse staples). I thought I would just do a quick post on what I got for this month’s box and by all means if you’re interested go and sign up! 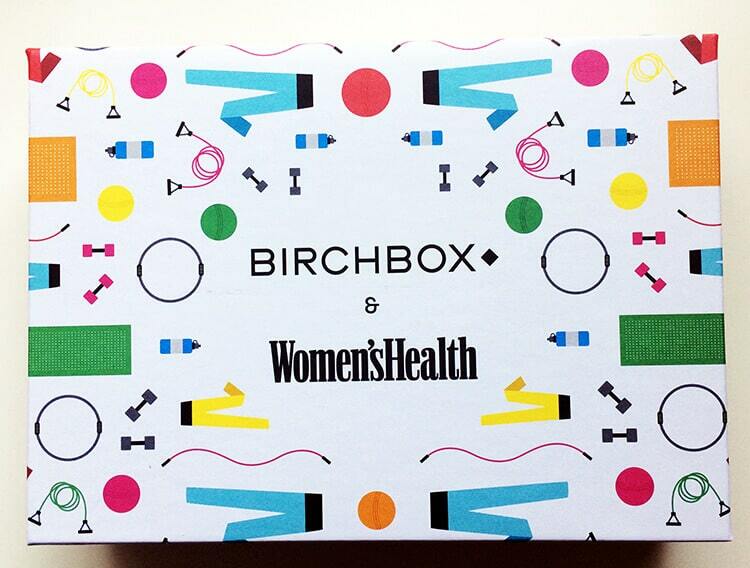 This month Birchbox teamed up with the magazine Women’s Health for a special box, and special it is! I got TWO full sized products (a rarity for me) and that alone is awesome! I’ve had the Suki cleanser before. It’s a great exfoliator however it always dries out super fast in the jar for me. That just means I need to use it up super fast. The Beauty Protector Treatment Mask couldn’t have come at a better time. I recently went even more blonde and that means I need to deep condition like mad crazy! The mask smells AMAZING and looks really thick, I can’t wait to use it! I have another Ruffian polish (from a past box) and to get another one is great, it’s this almost rose gold shade which is super pretty. The polish remover, I’m going to keep that in my purse for those times when you chip four nails and want to have a clean slate. The Laqa Lip Lube is so pretty, I absolutely love purples and violets on the lips. Love it! The only semi-fail is the eye cream. It’s heavily scented, not a bad scent, but just a heavy floral scent which just isn’t a good thing for me to have around my eyes. 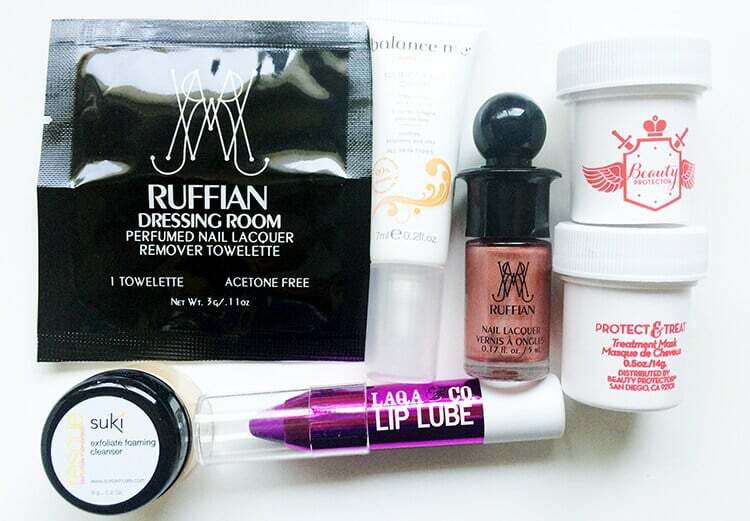 Overall, a fabulous box this month! Let me know what you got in your Birchbox this month! which are high end makeup in ipsy bags or birchbox? Birchbox tends to be higher end, however Ipsy tends to give more full sized products and more makeup and hair products (rather than fragrance or skincare).